We believe that performing throughout Italy and abroad carries an important message of peace and friendship, and our endeavours in preparing the displays have always been repaid by the success that many different audiences have given us, having had the chance to appreciate a form of culture that is so closely linked to our home country and its past. 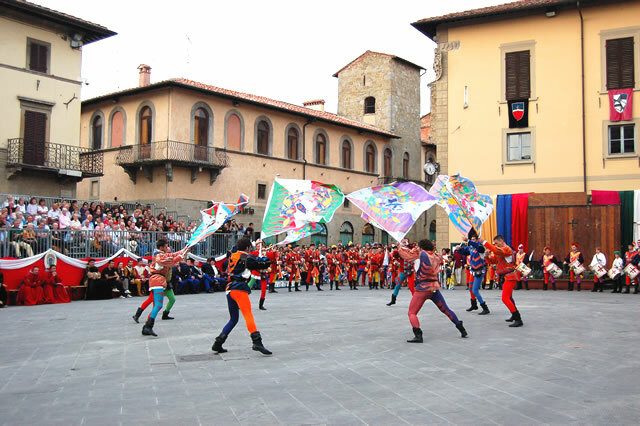 Apart from exercises laid out in manuals, the Flag-Wavers are inspired by the geometric patterns of Sansepolcro's most illustrious citizen, the great Renaissance master of perspective, Piero della Francesca. In honour of Piero della Francesca, the group worked with the famous contemporary artist Milton Glaser on an exhibition of paintings inspired by some of the artist's greatest works. Among the cultural initiatives that the group has organised, highlights include the exhibition with the artist Franco Alessandrini, born in Sansepolcro, but now living and working in New Orleans in the USA. The flag wavers have also organised the reprinting of the manual "The Flag" by Francesco Ferdinando Alfieri (dated 1638), a manual discovered by us in 1966 in the National Library at Florence. 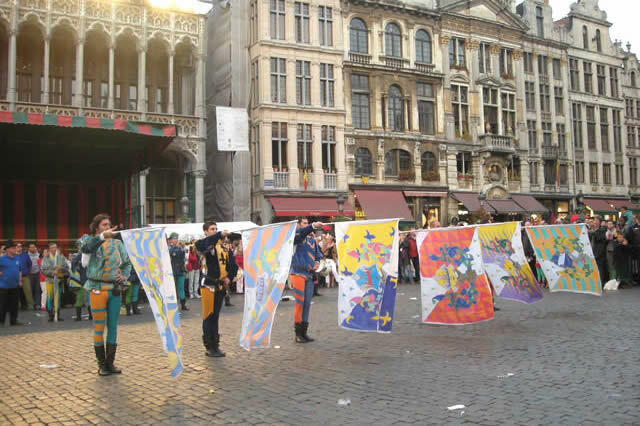 The group also owns an extensive collection of xylographs, engravings and bulino, engravings dating from the 1500s and 1600s, showing flag-wavers in action. On an international level, the group starred in the film “Under the Tuscan Sun”. Rather than boring you with a list of places and dates, we think that the following images clearly capture the scale of our performances around the world.